Calcium Chloride uses are many. On lawns and farms, it provides an immediate source of calcium with virtually no harmful affects to the environment. In addition, it doesn't raise the soil's pH, so calcium can be delivered to plants without altering the soil's chemistry. Both calcium and chloride have life sustaining uses in the human body as well as plants. Without either life would suffer and die. Sadly, there are just as many myths surrounding this product. I will describe some of the myths and misinformation as well as the facts. First, let me say that concerning Calcium Chloride uses that it is considered a very safe product. (GRAS) Federal Food and Drug Adminstration- Generally recognized as safe (GRAS) is an American Food and Drug Administration (FDA) designation that a chemical or substance added to food is considered safe by experts, and so is exempted from the usual Federal Food, Drug, and Cosmetic Act (FFDCA) food additive tolerance requirements. FDA.gov. "Calcium Chloride is very harmful to the environment and should never be used". "It is extremely damaging to plants and crops"
"Calcium Chloride can kill your plants and animals. It is a terrible chemical." Not only are these untrue as a general statement, but there is no credible science to back it up, especially when used as prescribed. I will explain what it really does and how it works. CaCl2 consists of a calcium ion and a chloride ion. It is highly soluble in water and is hydroscopic in nature, meaning it can draw moisture out of the air and dissolve. Therefore, unless already dissolved in water, it must be kept in tightly sealed containers when not in use. Calcium is necessary for plants in all stages of life and for more efficient photosynthesis, in resisting disease penetration, cell wall strength, and many other internal functions. Chloride is one of the 16 essential nutrients necessary for all plant life. Without chloride every plant on earth would suffer and die. It is an essential component for photosynthesis and other functions. Chloride is also essential in humans. It is found in bodily fluids and makes up 70 percent of the negative ions in the blood. It helps balance the body's pH and is essential in several life sustaining functions. Without calcium and chloride we would be extremely sick or die. When water is applied to dry CaCl2 it becomes totally dissolved. This means the ions separate and they become "free" calcium and "free" chloride ions. The calcium is a positively charged ion and will search out cations to cling to. HIgher CEC soils, such as clay, silts, and high organic matter soils will have the ability to hold more calcium. The calcium clings to these spots and can be used by plants. The Chloride is a negatively charged ion and doesn't cling to anything. It moves through the soil via water. As long as water is percolating through the soil, the Chloride will be taken with it where ever it goes, usually below the root zone and washed away. Once the product is applied and you get a hard rain, most of the chloride will be gone. I spoke with Dr. Suren Mishra, a researcher with TetraChemicals, a leading manufacturer of Calcium Chloride. He got his doctorate in England, later moved to Australia where he was a professor and now is in his current position. Dr. Mishra stated, "Every text book on Chloride retention in soil uses Sodium Chloride as its source for study. The problem is that sodium chloride has almost double the salt index and has little value in testing for cacl2. Why? Because the sodium binds in the soil and the test will always come back contaminated with sodium. It is never accurate." I believe Dr. Mishra told me he is working on getting universities to review and update their testing practices. 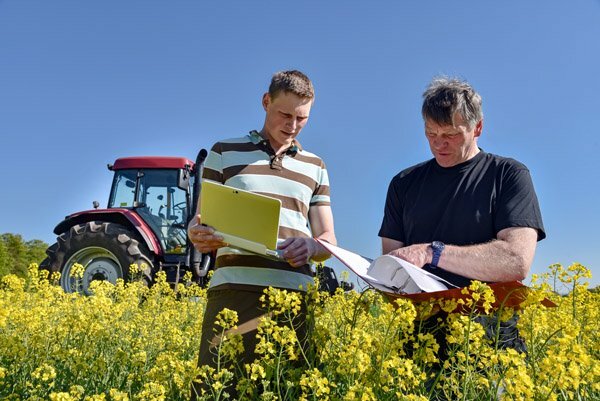 In contrasts to other chemicals, tests using Cacl2 have found that as much as 1200 to 1300 ppm of chloride can be applied to soils with absolutely no harmful affects. This is because the ions are free flowing and do not build up in the soils. They move through the soil by water and as long as water is flowing the chloride will be washed away. At the same time you will be delivering a lot of calcium. Sandy soils do not have much nutrient retention due to the lack of clay and organic matter to hold nutrients. Sand is a low CEC soil type (Cation Exchange Capacity) where clay and organic soils have a higher CEC. 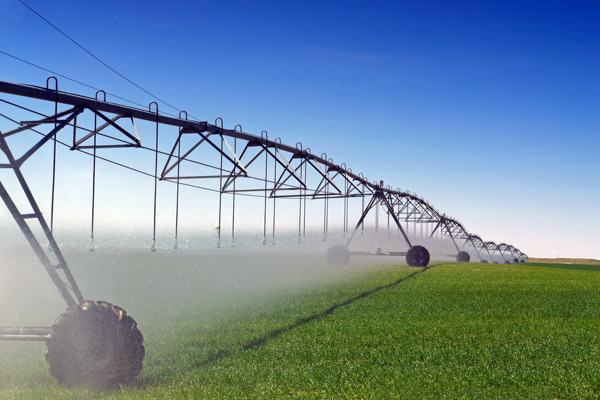 High CEC soils have the ability to attract + ions and hold more nutrients. In sandy soil tests, the electro-magnetic pull of calcium ions gripped the sand and showed that even with as much as 5" of rain the calcium held in place. There was less leaching of calcium due to the magnetic pull that is lacking in many other nutrients. Calcium and Chloride ions totally separate in water and become "Free" ions. Chloride is a negatively charged (-) ion and doesn't cling to anything in the soil. It flows with the water and is gone with rain or irrigation. Calcium is + charged and will cling to Cation sites. It will not wash away easily and in high CEC sites is considered immovable. Far more CaCl2 can be applied safely than most know. Both Calcium and Chloride are necessary to sustain plant health and vigor. CaCl2 as the source of calcium. It is included as an immediately available source of calcium that plants can use the moment it is sprayed. Contrast that to Calcium Carbonate which can take 6 months to 2 years before it can be used by plants. In addition to the immediately available calcium, Super-Cal and Agri-Cal contain a propitiatory blend of organic acids that dissolve unavailable calcium in the soil. In tests performed by a university extension in Illinois and also in Mississippi, 1 gallon of Super-Cal produced the equivalent of 500 lbs of lime do the action of the organic acids. This is important because Super-Cal and Agri-Cal increase the base saturation of calcium in the soil. Calcium makes up from 65% to 85% of nutrients in the soil. A lot of people don't realize that base saturation of calcium is far more important than soil pH in determining calcium needs. Keeping the base saturation of dissolved calcium on the higher end means your plants will be getting the calcium it needs when it needs it. In addition, soil microorganisms need calcium to operate at their peak performance. Super-Cal and Agri-Cal when mixed with Foliar Blend, Turf Formula, and Ultra have shown in tests at the University of Missouri/Comumbia to increase beneficial soil microorganism numbers and activity by an amazing 3400% in 24 hours. This increase in activity of beneficial microorganisms have reduced pathogens, greatly increase plant health and vigor, increased soil nutrients naturally as well as make fertilizers more efficient. There is no down side to using Agri-Gro Products. 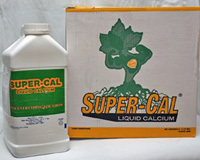 Super-Cal and Agri-Cal are safe to use on all plants and will increase you bottom line as well as quality of turf and plants.